Thousands submitted comments to the U.S. Fish and Wildlife Service (USFWS) regarding the delisting of Yellowstone-area grizzly bears. According to the Bozeman Daily Chronicle, as of Tuesday afternoon, over 5,4000 comments were tallied. USFWS spokeswoman Serena Baker said officials will review comments and address some of them in the agency’s final delisting proposal. As previously reported, the USFWS hopes to delist Yellowstone-area grizzly bears from the Endangered Species Act by the end of the year, which would move management to state wildlife agencies in Montana, Wyoming, and Idaho. Each state has expressed interest in limited trophy hunting, alongside “discretionary” management. Under USFWS guidelines, the Yellowstone grizzly population would ideally be kept above 600, with an aim for 674 bears. Currently, the Yellowstone-area grizzly bear population is estimated at 747, with some positing the number is even higher. The grizzly bear was previously listed on the Endangered Species List in 1975, when only 136 bears roamed the Park. Yellowstone grizzlies were previously delisted in 2007 but placed back on the list in 2009 after a federal judge ruled one of the bears’ main food sources was demonstrably diminished by the effects of climate change. Glenn Hockett, president of the Gallatin Wildlife Association, said delisting should wait until important migration corridors for the grizzly bear have been protected. 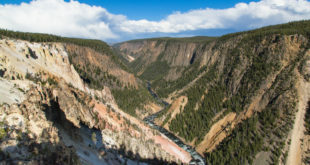 Connectivity between the bears of the Greater Yellowstone Ecosystem and the Northern Continental Divide — which includes Glacier National Park — is believed by many to be necessary for the long-term viability of the bears. Hockett said bear managers haven’t ensured that can happen yet, and he worries that protecting livestock grazing on public land would be deemed more important than letting bears travel between the two places if grizzlies are delisted. “We’re afraid that those conflicts will take precedence,” Hockett said. On the other side, Nick Gevock, the conservation director for the Montana Wildlife Federation, said state wildlife agencies have shown that they can manage species and trusts that Montana Fish, Wildlife and Parks can handle the burden of managing grizzly bears. He added that the recovery of the bears shows the power of the Endangered Species Act. “This is a sign that the Endangered Species Act works,” Gevock said. Baker told the Chronicle the agency is considering another comment period once the states submit their management plan. Both the Wyoming Game and Fish Commission and Montana Fish, Wildlife and Parks have released plans; the latter is planning a vote on hunting regulations for later in the week.